I’d like to give you a mentall image to set you up for the day. Ok, so half the day is gone, but that’s half the point. Today I stayed in bed until 1pm which felt like what I needed. I had got up at about ten to grab some toast, but had eaten it in bed with a grumpy cat pouncing on my tummy as I tried to clear the crumbs from inside my pajamas top. At one, I made the gargantuan effort required to go and get dressed. I had to try my leggings three times to get them the right way around (like a usb stick) which was a bad start, bit when I got half way into my jumper, I suddenly started retching. Loudly. In my panic I tried to run to the bathroom with my jumper over my head, whilst retching. This week has defeated me already, I’m sad to say. Although I understand on a logical level that pregnancy (like any change to your body or health) affects people differently, however it’s hard not to feel weak, wimpy and pathetic when the symptoms seem to be affecting you in a way that you can’t bare whilst others are up, working, looking after children and probably being cheerful too. I’ve ended up having to take some time off work with the sickness as I’ve been heavily nauseous from getting up time to the moment I fall asleep, and yesterday I started vomiting too. I’ve tried most of the recommended “treatments”- from ginger ale to dry crackers, to eating small snacks frequently rather than large meals. I’ve tried only eating exactly what I feel like (whether that’s a snicker bar, 4 apples or macaroni cheese), I’ve tried eating plain, high carb low fat snacks. I’ve tried eating first thing before getting up in the morning. I’ve tried being busy to as to distract myself, I’ve tried sipping fizzy drinks, I’ve tried only eating food luke-warm rather than hot. Nothing is working. Or if it does- it’s very short lived- a maximum of ten minutes of respite of feeling relatively normal. So tomorrow I’ve got a Dr appointment to see if there’s anything they can do to help. I guess an option is anti-emetics but a)I don’t want to put any drugs into my body if I don’t have to and b)I’ve heard that they aren’t so brilliant anyway. I’ve also ordered some travel sickness bands which some people have said help and hopefully they will arrive tomorrow. In short, I’m feeling utterly rubbish and very pathetic about it. Luckily the internet-fountain-of-all-knowledge-that-is-Mumsnet has come to the rescue with lots of opportunities to discuss symptoms with others in the same position as me. Sounds like there’s a few others out there feeling as crappy as me, without the medical confirmation of something more serious like hyperemesis gravidarum (the more severe version of morning sickness). To add to that I’ve managed to very quickly loose about 2kg in the last week or so which under normal circumstances would be great (as I’ve been gently losing weight since July last year), but I have been a bit worried under the current circumstances. A quick google tells me it’s pretty normal and doctors don’t normally concern themselves with it which is good news, but I still feel nervous about the combination of the nausea, vomiting and weightloss. I say “morning” you see- but what I really mean is afternoon. I could say what I mean, but to be honest it seems it’s much more fun to choose a time of day, allocate an attribute to it and then spread the myth! Huh? 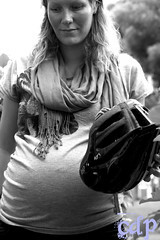 Yes, I’m talking about “morning” sickness! Today is the first time that I have experienced morning sickness, despite the fact that I’ve been feeling nauseous for 4 days. That’s right, “morning” sickness can happen at any time of day and isn’t by any stretch of the imagination limited to just the morning. The bonus I’d imagine, is that I haven’t actually been sick, just an overwhelming feeling of sickness that takes my breath away and leaves me wanting to curl up on the floor. Only problem is that curling up on the floor doesn’t seem to fix it. Eating crumpets on the other hand, does seem to fix it…. but one can’t be doing that all day! 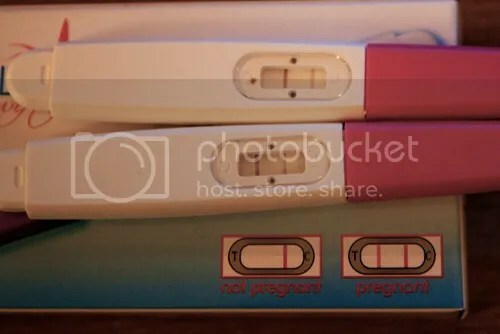 So, it looks like I really really am pregnant. Which is terrifying really. Husband and I haven’t told anyone yet as we’re trying to be discreet until we’ve reached that all important 12 week scan. Whilst I realise that after the scan there are no guarantees that everything will be plain sailing, we’ll be past that initial threat of the “First Trimester” which is when the baby is at the highest risk. I’m not sure I’m confident calling it a “baby” yet- it’s really just a bunch of cells the size of a grain of rice- but it’s amazing what the invisible changes inside your body are doing really. What’s hardest is keeping the gob shut about it all. Obviously my lifestyle has had to change considerably in the last few weeks, but then I’ve been making these small changes ever since August 2011, when we first decided to try for a baby. That was a really long time ago. I was using the depo-provera contracteption injection for about 18 months, as the thought of having a family seemed like a really long way away. After some discussions, we decided that financially it might be time to start trying as it may take a while, and so I stopped the injection. We were aware that conception could take a while after coming off the depo injection, but we hadn’t quite been prepared for how long it took. Whilst waiting, I had an accident with an irritating long-term injury which meant we did start to put things on hold a bit, but (if you see the distinction) rather than trying to conceive, we just weren’t trying not to conceive! 16 months later, I decided to take a (slightly) early pregnancy test. We had guests staying later in the week and I was hopeful that there might be a postive test. There wasn’t- but I came down with a crappy cold and figured that I could blame the tiredness etc on that. At the end of the weekend, I was still feeling ropey, so when the husband did the food shop, I asked him to pick up another test. Whilst he cooked dinner, I got the test out of the way. Or so I thought. Showed husband. Cried. Was speechless. The day after, I had another go. Still positive.